We’re so excited to announce two fundraising photoshoots over two upcoming weekends! Join us on these dates; November 7th and 8th and November 14th and 15th where Sawmill Creative will be offering photography appointments of your dog/s in flower crowns! The photoshoots will be taking place at 84 Joseph Street in Port Carling, beside The Apothecary Shop and across from the Library. Appointments will be approximately 15 minutes in length. 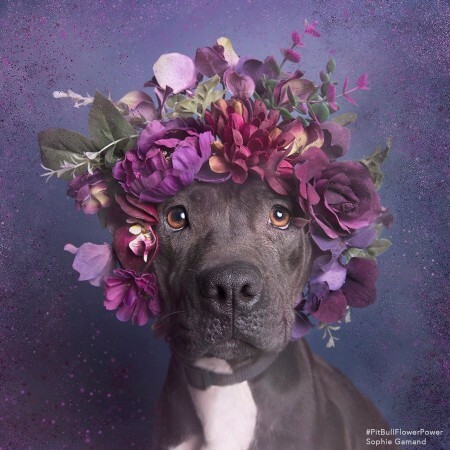 The cost of the shoot is $30 per dog where you’ll receive an 8 by 10 print of your pooch in the beautiful flower crown. It is necessary to book appointments for the shoot so if you are interested please message us on our Facebook page, or alternatively call Wendy at (705) 645-2034 or Brenda at (705) 641-1090. There will be two flower crowns available to choose from (one similar to the purple photo posted) as well as a Christmas inspired crown. Hoping to see lots of our furry friends at the photoshoot! All proceeds go towards caring for Carter’s Rescue dogs. You can view Sawmill Creative’s work by clicking on this link.